He’s the tall cool one……but who is he? The header design itself is based on a photograph of my great-uncle, Dr. 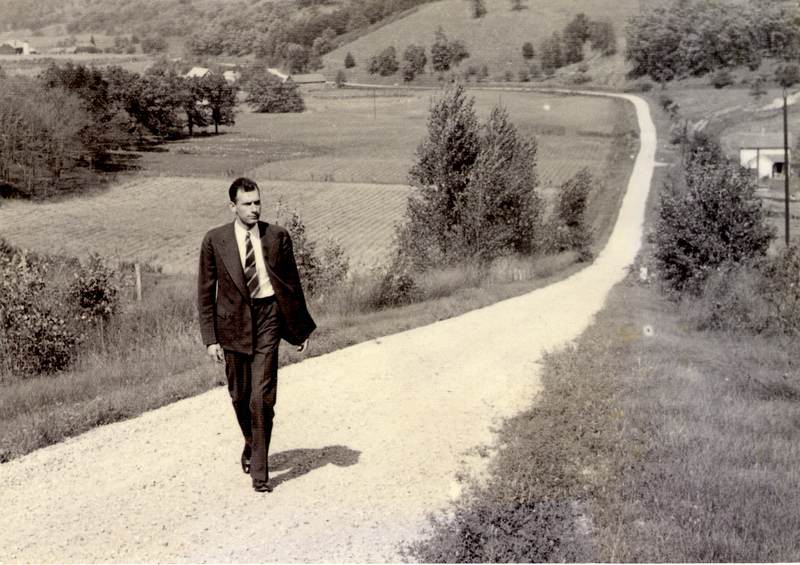 Guy Wilson Daugherty, as he walked down an unpaved road in Fayette County, West Virginia, about 80 years ago. My good friend Mark Wolfe of Mark Wolfe Design used the photograph you see in the Facebook page profile picture to create an original concept for Esse Diem. In this photo, Guy is home visiting during his residency at the Mayo Clinic. He ultimately became a cardiologist at Mayo.